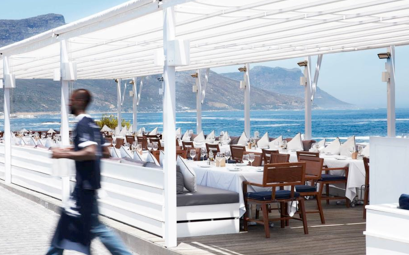 Cape Town has been off the radar for quite some time, but thanks to some National Geographic and Huffington Post buzz, this city is the new hotspot for globetrotters. Dining at sunset, scaling mountains and cage diving with sharks are just the beginning of a list of activities that Cape Town has to offer to its visitors. 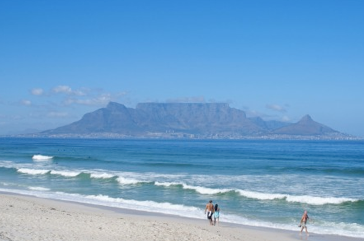 Cape Town is the perfect destination for anyone who is seeking both an unforgettable experience and a relaxing vacation in the sun. 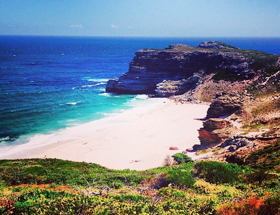 Here are six must-do activities in Cape Town that will make you never want to leave! The Cape of Good Hope is the southern most point of the entire African continent. This landmark is a must-see for both visitors and residents of Cape Town. Surrounded by ice-cold turquoise water and an abundance of wild life, this point has been a renowned destination since 1488,when it was discovered by Bortolomeu Dias. While the Cape of Good Hope may be aesthetically pleasing, it is also the home to bone-chilling waters, great white sharks, and thousands of years worth of shipwrecks. If you are looking for a workout of a lifetime, Table Mountain is your answer. This sea cliff consists of various trails ranging from difficult to extremely difficult and is a national park filled with rare flowers and breathtaking views. For those who are unable or unwilling to take on a two-plus hour hike, there is a cable car that takes no more than 10 minutes to make it up the mountain. Table Mountain is not only filled with years of history, but also people who you meet along the way who love to sing and share stories while trekking up the mountain. The Bungalow embraces all that is chic and trendy in Cape Town. This restaurant is made up of an indoor area as well as an outdoor area composed of sofa beds and curtains that billow in the wind. The Bungalow is a perfect place to go for sundowners and hors d’oeuvres with a group of friends or a significant other. A DJ playing music, delicious food and drinks and an always-perfect sunset make The Bungalow the ideal place to end your day. South Africa is the home to the largest Great White Shark population in the world. Diving with Great White Sharks in Cape Town is an essential activity for any adrenaline junkie. Gansbaai, a town just a few hours outside of Cape Town, is notorious for supplying a feeding frenzy of sharks the size of cars. 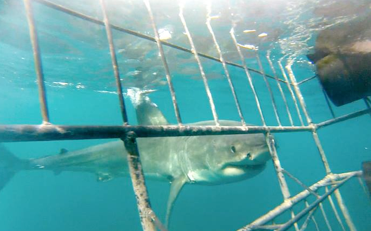 Cage diving is a can’t-miss, once in a lifetime activity for those who are brave enough to make eye contact with the most feared animal in the sea. “It really wasn’t as scary as I thought it would be… it was amazing. That being said, the sharks are humongous and I can’t say that I would be calm if I wasn’t strapped into a medal cage,” said Sophie Waters, College of Charleston 2015, Communication. 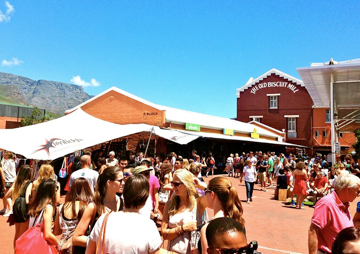 Old Biscuit Mill is the Mecca of cuisine for any food lover in Cape Town. Every Saturday independent vendors and restaurant around the city set up their stands in a large covered lot. From 9 a.m. to 2 p.m., OBM is filled with residents and visitors of the city who are hoping to appease their craving for the day. From pastries such as crepes, croissants and ice cream to flat bread pizza, sushi, gourmet sandwiches, fresh lemonade, smoothies and coffee, Old Biscuit Mill makes the dreams of every “foodie” come true. “I looked forward to waking up every Saturday morning and getting to spend my afternoon at OBM. When it came to the amount of food I ate, that place was both a blessing and a curse during my time abroad!” – Lily Rauch, College of Charleston 2015, Communication. 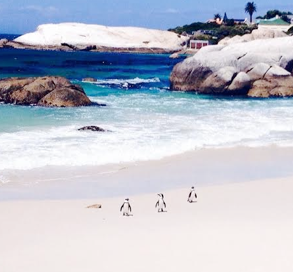 Have you ever seen hundreds of penguins sunbathing in the sand and swimming in crystal clear water? If not, Boulder’s Beach is the place to go. Boulder’s Beach is filed with over 2,000 penguins that somehow managed to make their way to the coast of South Africa. This bizarre occurrence is a sight to see and definitely a must for any Instagram lover!